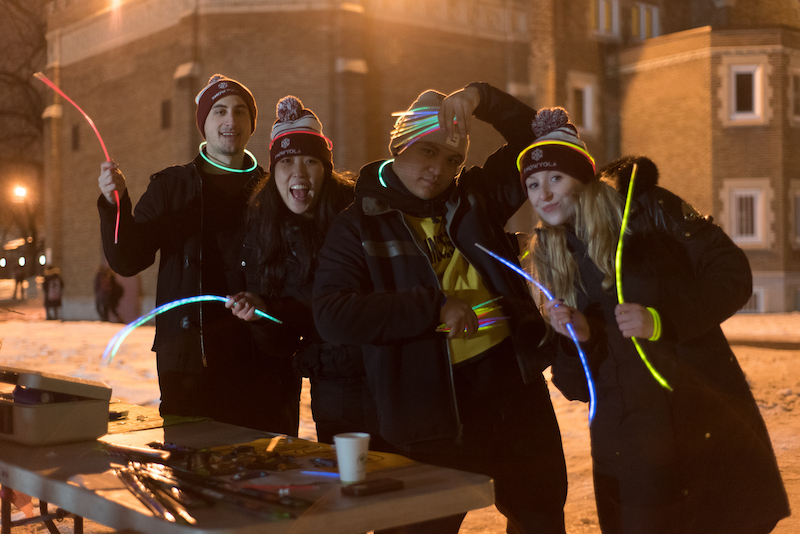 Over 100 students gathered at the quad on Loyola campus to celebrate Snowyola—the first-ever winter orientation. The event was held by the Arts and Sciences Federation of Associations (ASFA) on Jan. 19, and ran from 4 p.m. to 9 p.m. An after-party was also held at Reggies from 9 p.m. to 2 a.m. During the main event, DJ Czich, who was in charge of music for the night, gave Snowyola attendees a wide variety of music to groove to. Everything from hip-hop to EDM to pop filled the air, complemented by an impressive display of colourful LED lights fixed to the DJ setup. Partygoers had access to Molson Canadian beer, which was the official sponsor of the event. Not only was there an abundance of beer, but bags of chicken and falafel pitas were also made available from the newly-opened Boustan in NDG, along with a large tray of a variety of Subway cookies. While Snowyola offered new and returning students a unique way to socialize and connect after the winter break, ASFA used the event as a means to fundraise and raise awareness for Dans la Rue, an organization which helps homeless and at-risk youth in Montreal. At the event, students could buy Snowyola-themed pom-pom hats, which were striped white and burgundy with a snowflake embroidered on them. One hundred per cent of the pom-pom hat sales went to Dans la Rue, as well as at least 25 per cent of the total ticket sales, according to the event’s Facebook page. Fifty per cent of the after-party ticket sales were also donated.